Full Day - $595(1 or 2 people) Half day - $550(1 or 2 people) - The following included except 5% gst and a tip for your guide. Each additional wader is $200. We have designed our walk and wade trips for people who want to explore mountain streams that we aren't able to drift. We will head out to a mountain stream based upon conditions and spend the day out there fishing some of our favorite spots. Sometimes we can walk into some of the most beautiful Alpine Lakes in the entire world. Once again we will supply all of your equipment that you will need to have a successful day (rods, waders, boots, flies). We will pack a shore side lunch as well bring snacks and non-alcoholic drinks. This is a bit more of an adventurous day. It requires a little more work on your part, as some mountain streams/lakes we will have to hike into. Some streams/lakes in fall could likely be bear habitat, we will carry appropriate measures to make sure we are all safe. Lots of wildlife can be seen on some of these gorgeous scenic mountain streams/lakes. Sometimes forgetting we came to fish. Some of the mountain streams include, Upper Bow River, Lower Bow River, Oldman River, Sheep River, Highwood River, Livingstone River, or Crowsnest River; to name only a few. 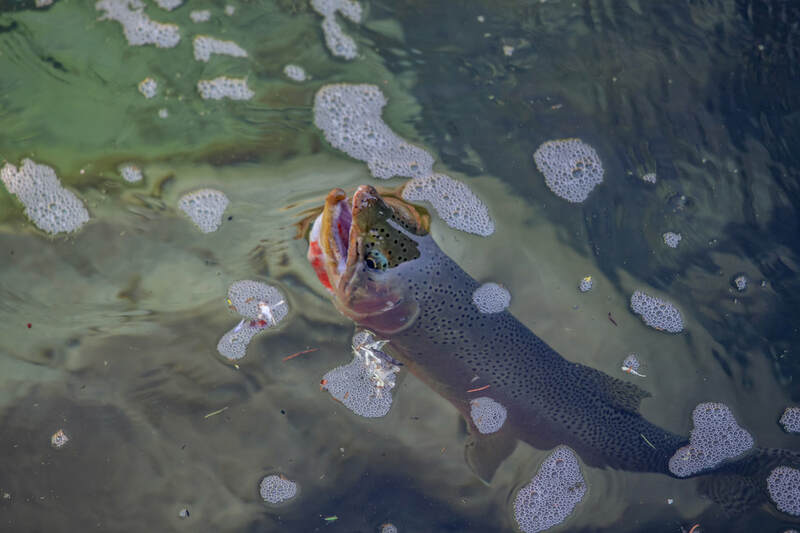 You can pursue Bull Trout, Rainbows, Browns, and Cutties.